A pair of suan ni, with smoke coming out of their mouths! Like the Tao Tie, Suan Ni is one of the sons of the dragon (the 8th son). Unlike the Tao Tie who adores food, the Suan Ni is a patient creature that loves the smoke from the incense. 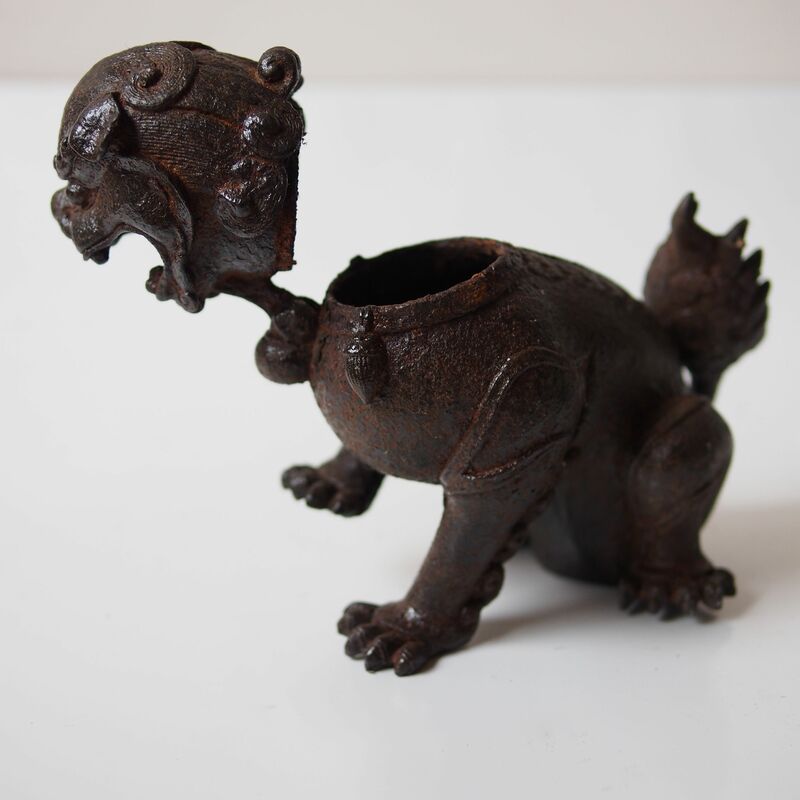 He can be found on the large incense burners and also as a carrier for the Bodhisattva Manjusri. 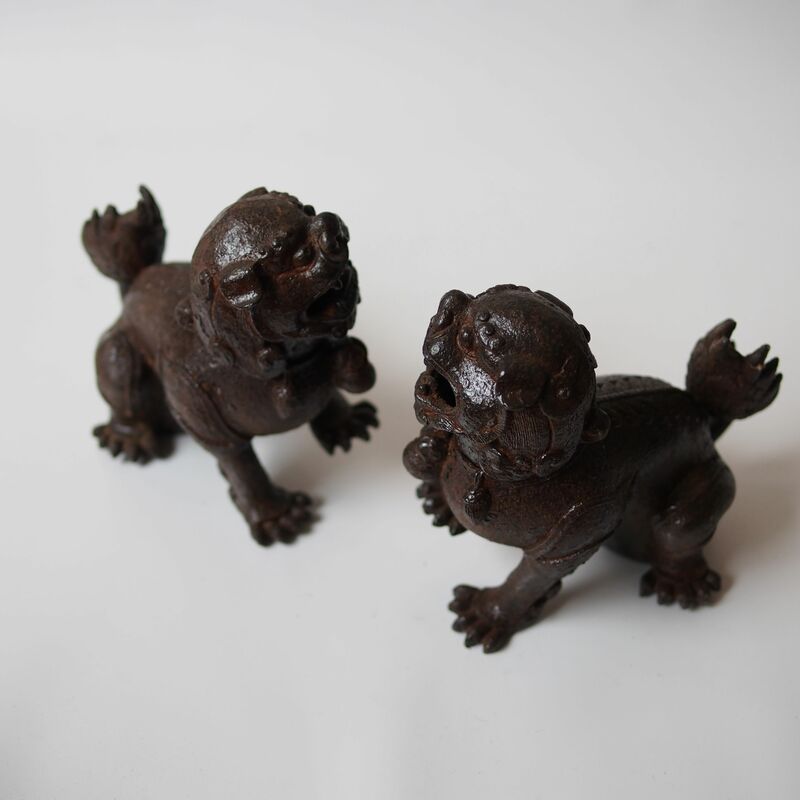 These Suan Ni are a pair of incense burners, flip open the head, place the incense, light it, flip the head back and enjoy their smokey conversations.